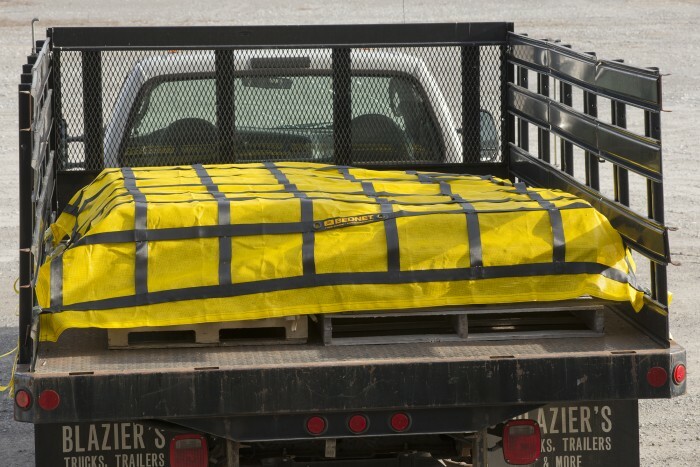 All Work Utility Truck Safety Net products by Bednet® are DOT and NACSS Compliant. 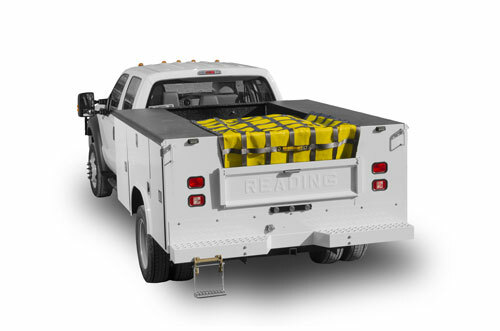 The Bednet® Cargo Restraint System allows your crews to quickly and safely secure cargo in utility bodies and service beds. Using accessory carabiners, install the net simply by clipping one side of the net into your desired interior anchor points. Make all adjustments from the two rear integrated straps and never have to remove the net. Carry case included. The Bednet® Cage Net provides a practical solution for cargo containment in utility bodies without mountings in the rear. This passive containment system turns the rear of the bed in to a covered area and allows access and manipulation from the ground. Riding on quick release header and footer straps, the net simply slides to the side for accessing small items. For larger objects, the net fully detaches. 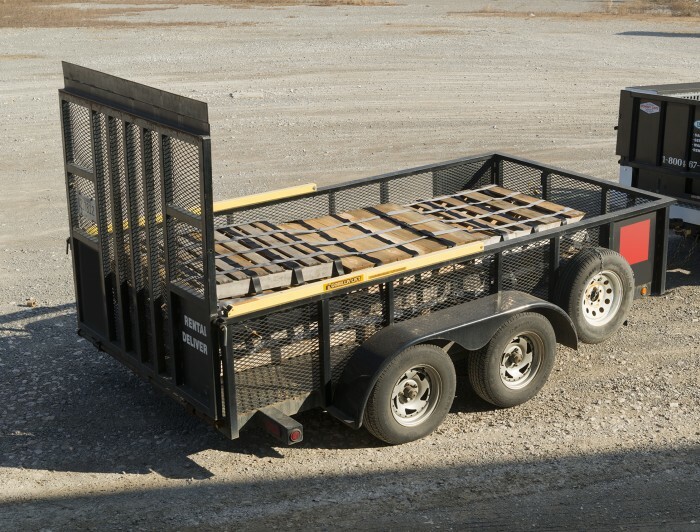 These sturdy truck nets have many stake bed configurations and will haul many different shapes and sizes of equipment at any one time. Designed with a major oilfield services company, the Bednet® Stake Truck Net prevents equipment damage and improves safety significantly. 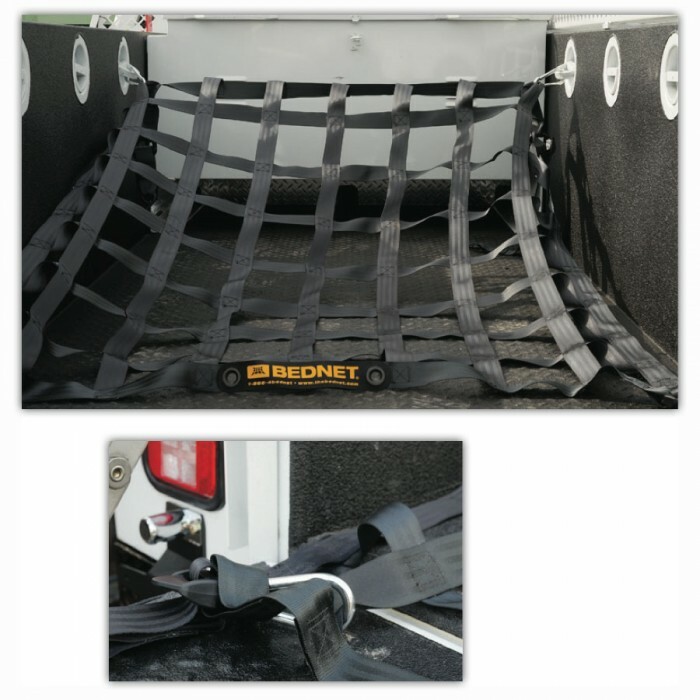 The Bednet® Cargo Utility Net is a great solution for trailers and other restraint applications. Made from 6,000 lb. tensile strength seatbelt webbing, these rectangular nets offer many attachment points to allow them to conform to most loads. Tie downs not included.